Expert industrial computer design and manufacturing company Avalue Technology Inc.(Avalue) has been involved in the field of smart healthcare for over a decade. Avalue is dedicated to improving the efficiency of the medical staff and the quality of hospital care. 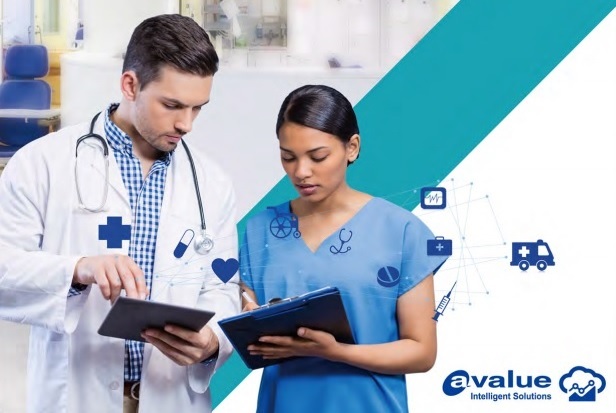 Using IoT as the foundation, Avalue has successfully built a series of solutions in smart healthcare systems that coordinate information and communication between multiple hospitals. Currently, Avalue is working with Europe's largest medical retailer and is laying down a network to service its clients all across the globe. Avalue's ODM business provides customized solutions in medical instrumentation and home care. Its professional team manages the projects to help clients achieve mass production while ensuring product quality. At this year's Taiwan Healthcare Expo, Avalue will be promoting its intelligent nurse station and smart ward solutions. Avalue will be creating a high-quality smart healthcare scenario so medical personnel and the general public can experience the convenience brought by their solutions. The smart healthcare platform designed by Avalue will elevate the user experience to a whole new level. The intelligent nurse station solution by Avalue is designed to reduce the extra workload on the medical staff. The medical staff can use the smart whiteboard to gain a real-time view of patient information and condition. When an emergency occurs, the whiteboard can automatically obtain the information and provide the location of the alarm. If a phone call from the hospital room to the nursing station is unanswered for a set amount of time, the system can transfer the call to the mobile phone of the nurse on duty to allow real-time response to the patients' needs. The improved response time can better protect the patients' safety in the event of an emergency. The smart ward solution designed by Avalue defies convention. When the attending doctor is making the rounds, they can easily read the electronic patient record right in the room. The hospitalization data, clinical data, and medication information are all available to allow the doctor to better conduct consultation without the inconvenience of carrying large stacks of paper records and the risk of losing or misplacing it. The intelligent medical chart function has fully realized paperless operation. The medical staff can use the electronic paper to record the case information and physiological data, then upload the HIS case information with ease, circumventing the need for the complex procedures of the past. The other special product, the wireless intelligent medical cart has obtained FDA 510(k) approval. The cart can be combined with medical equipment and computer equipment for imaging to free these systems of the location constraint, granting them portability and allowing them to be used in the examination room, the ER, the operating theater, and other locations. The system has been used in a wireless endoscopy procedure. Wireless image transfer is accomplished through the 60 GHz band, providing a real-time 1080p image from the endoscope. It's a truly modernized wireless power operating room.